For many, that means getting up with the sun to indulge in the warm weather tradition of rummage sales. 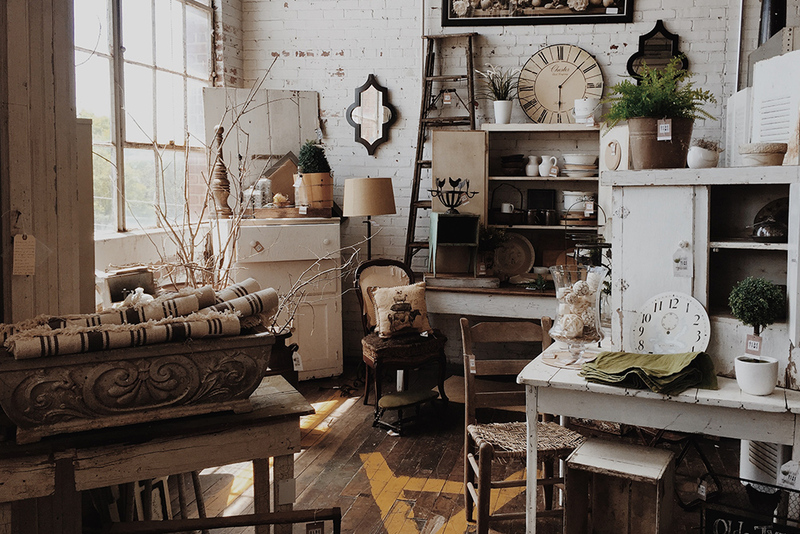 This year, add some elements of shabby chic to your home by sifting through those yard sales and flea markets for thrifty finds to brighten up your space. Shabby chic elements can help to create an airy, homey vibe – perfect for getting summer started! Read on for a few ways to capture the rustic elegance of shabby chic. One of the simplest ways to add a rustic look to your home is by salvaging used furniture. Swap out your headboard for an antique wrought-iron bed from an estate sale. Reclaim an old school desk by whitewashing it to give it new life. Think soft colors and fabrics. Add sheer drapes, ivory slipcovers and over-sized pillows in various shades of white to the living room. If white is too hard to keep clean, pastels like blush, sea foam and light blue can help create the same breezy air. Add a feminine throw to the foot of your new (old) wrought-iron bed along with some flower-patterned throw pillows. Place an old hat box on top of your dresser. Add some framed floral prints from the antique store to the walls. Consider hanging a small chandelier above your farm table. Place a weathered mirror on the mantle. Scentsy has an entire line of warmers dedicated to the shabby chic trend. Spindle and Vino are perfect for incorporating the Edison bulb trend into your home furnishings. Prairie Pitcher and Vintage Glass Warmer are at home in a kitchen. And Butterfly Atrium and Claret will add a soft dreaminess to your bedroom. Add a soft fragrance like Plum & White Woods or Aloe Water & Cucumber to your Warmer to complete the feeling of rustic elegance. Contact your Consultant if you’re interested in adding Scentsy Warmers to your home décor. If you don’t have a Scentsy Consultant, you can find one here. This is fabulous! Lots of places for a Scentsy warmer to fit in! Thank you for the ideas!